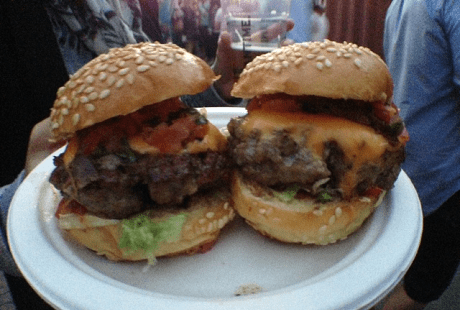 Even though we have been to many festivals this year, a festival based on burgers was something we couldn’t miss. 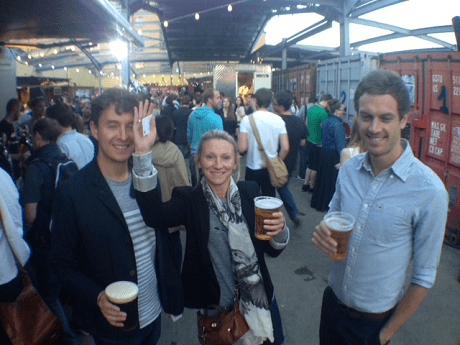 The ‘Glastonbury of food festivals’, it sold out in no time at all – we were excited to be part of it. Roughly 10 or so burger chefs and restaurants were showing off their grilling and filling skills and producing some mouth watering burgers for 100’s of hungry diners. 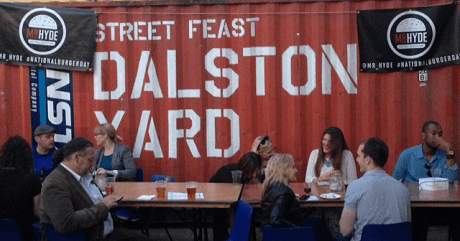 The smell as you entered the Dalston Yard Street Feast London site, was enough to get your juices flowing. The beer included in the price of the ticket was a nice touch and the perfect start to the occasion. I started the evening with a Yakima Red Beer from The Meantime Beer Tank. With the free beer token quickly sunk, I was easily convinced to purchase another, one more and then a case of the stuff online when I arrived home, cheers. 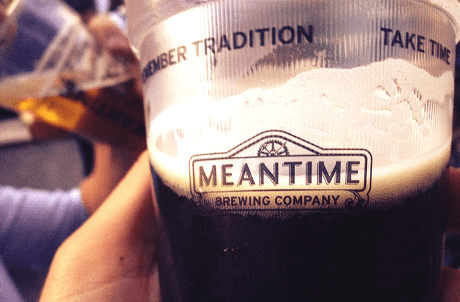 A real fruity, hoppy, sweet and trendy brew. Four people was the perfect size group, as queuing for nearly 15 minutes at each burger joint was something you could not avoid (the only frustrating part of the evening). In order to be more efficient we divided into two. This worked perfectly, enabled us to queue at two burger stands at the same time, then divide the burgers into halves and share. A well thought out plan! In total we munched through 8 sliders, 5 burgers and 4 ribs! 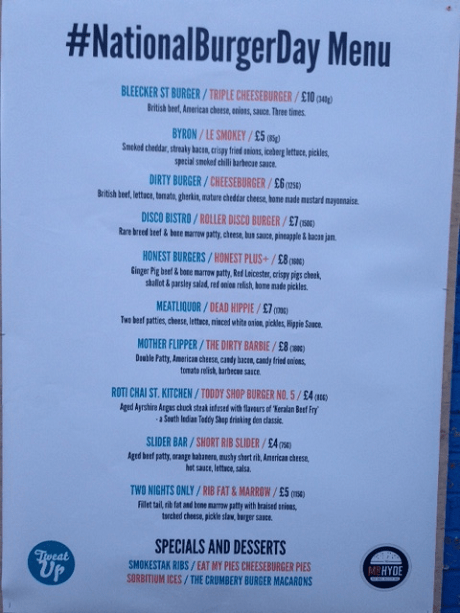 Our burger marathon started with a slider from the Slider Bar and Dirty Burger! Short Rib Slider: Aged beef patty, orange habaneros, mushy short rib, American cheese, hot sauce, lettuce salsa. Verdict: A spicy start to the evening but a real tasty, moist burger. The salsa gave it a fresh and healthy zest to ease that fiery tang. Verdict: One of the more simple burgers of the evening, with a focus on the rich flavour of the meat and well suited condiments. After devouring our two starters, we scoured the venue, where next? Our next port of call was the classic Meat Liqour. Even though all four of us had had this burger numerous times, we couldn’t really say no. We just had to give it another go. Oooh a little poem! Meat Liquour Dead Hippie: Two beef patties, cheese, lettuce, minced white onion, pickles, Hippie Sauce. Verdict: Good! double the beef, double the flavour. I was glad that the light had started to fade, as the rich gravy-like juices from the burger made a right mess of my top! With the mustard and chopped-up gherkins and extra secret ingredients, the hippie sauce was outstanding. Off to the most anticipated burger of the evening, the #NextLevel Disco Bistro’s Roller Disco Burger. Disco Bistro Roller Disco Burger: Rare breed beef and bone marrow patty, cheese, bun sauce, pineapple and bacon jam. Verdict: Wow, everything we ever imagined and more. Almost kind of romantic, as each of us took our first bite we seemed to stare at each other longingly, as if to say, now that’s a burger, let’s get it on…?!?! 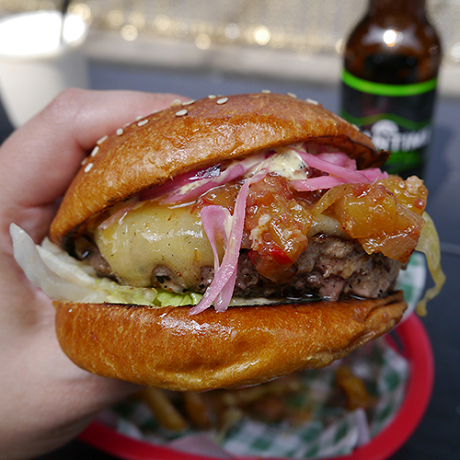 This extra juicy burger held together by a sweet brioche bun was definitely worth the queue. 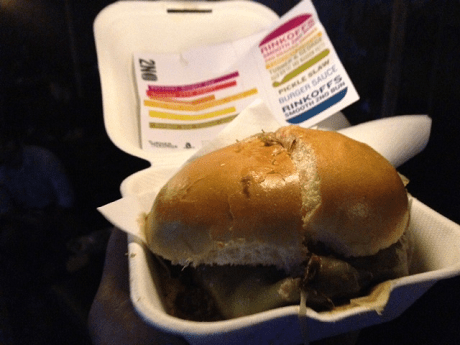 Once tweatup had announced the full burger line-up pre festival, this was the most anticipated. The finishing touch was the pineapple and bacon jam, which gave it a real salty, sweet edge! What a combo! The final (well, almost final) burger of the evening was from the newly-relaunched Roti Chai St Kitchen slider. Toddy Shop Burger No.5: Aged Ayrshire Angus chuck steak infused with flavours of ‘Keralan Beef Fry’. Verdict: So fresh and delicious! I can’t wait to have this again. The taste almost resembled a tandoori mix grill, the curry spice and flavours mixed with the quality meat was fantastic. Roti Chai St Kitchen we now know where you live and we’re coming to find you. Two Night’s Only: Fillet tail, rib fat and bone marrow patty with braised onions and torched cheese, pickle slaw and burger sauce. Verdict: Ask my house mate, but by the sounds of it, he absolutely loved it! I couldn’t manage another bite. It looked and smelt great though……! There you have it, my in-depth analysis of each of our burger choices. As we had basically eaten our week’s calorie intake in 2 hours, we had to find a way to settle our stomachs. What better option to wash it all down than a shot of Jose Cuervo tequila chased with a shot of breddos tacos pickled habanero juice. Pickled juice you say? Correct, try it, you’ll love it. 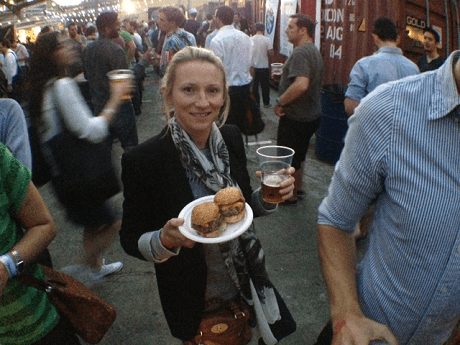 I might sound a little OOT when describing the tastes and flavours of these burgers, as after all it’s only a glorified sandwich… but it really was a fun, tasty experience and each trader at the event put on a cracking show, each with their own unique take on a burger. 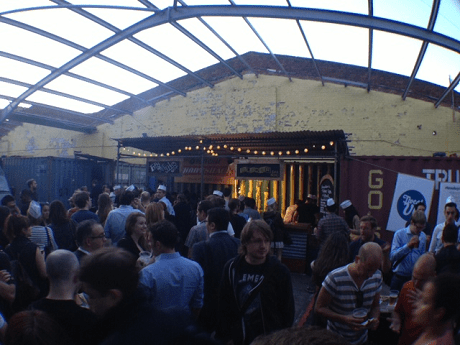 As I hadn’t been to many of the restaurants and venues represented at the event, I now know which I will be making a beeline for next time I fancy a tremendous burger! Well done to the organisers on a great evening! Thumbs up from TableCrowd. Fancy a burger? Check out Red Dog Saloon and our Man v Food crowd.